The Smartwasher® parts cleaning system is both self-cleaning and non-hazardous – employing a method of using natural bioremediation to dramatically reduce waste fluid generation. Safe to use and most importantly a parts washer that works – Smartwasher® is the innovative parts cleaning system that combines superior performance with environmental responsibility. 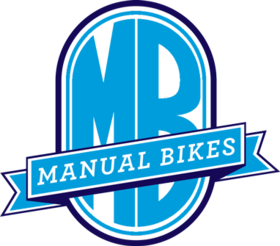 With tens of thousands of users across Europe, it’s the smarter way to clean parts and equipment which is now available at Manual Bikes. 1 Heated Ozzy Juice® flows through nozzle and flo-thru brush on to the dirty part. 2 Grease, oil and all other contaminants are washed from the dirty part and flow through the Ozzy Filter™. The Filter is the KEY to the Smartwasher® system. It not only traps particulates down to 50 microns in size but it also contains Ozzy™ microbes. Heated to 40°c the microbes become active in the Ozzy Juice® solution and start eating the oil and grease creating a harmless by product of carbon-dioxide and water, eliminating the requirement for a regular clean out and leaving the fluid clean and strong for the next use. 3 The pump recirculates the fluid at 15ltr per minute. 4 A heater element heats the Ozzy Juice® to 40°c – the optimum temperature for Ozzy™ microbes to work at.